Have I mentioned that I love Unity Stamps??? My collection from them is ever-growing and they are always coming out with great images. Like this one called Evelyn Girl. She is so fun with her balloon bouquet ready to make the day a little better. I stamped the image with brown ink on white card stock and colored it with Copic markers. I layered it to turquoise paper that was punched on one side with the doily lace punch by Martha Stewart. (You can find it here on Amazon.) I stamped the sentiment with brown ink on white card stock, trimmed it close, and layered it to yellow card stock. 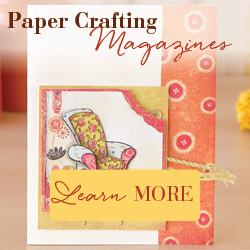 To assemble the card, attach a strip of patterned paper to a coral colored card. Then attach Evelyn Girl and the sentiment with foam tape. She is a super fun image to color – the possible color combinations are endless! !